Sunland Derby: Runaway Ghost was bet down from 6-1 to 7-2 in the final seconds — and he won like a well-intended horse should, drawing away to a commanding lead in the stretch before holding on to win by 2 ¾ lengths. However, despite a solid 1:49.2 final time for nine furlongs, the 96 Equibase speed figure was the lowest in the history of the race. On the plus side, Runaway Ghost showed he could rate in the Sunland Derby — a dimension he hadn’t shown previously. Jeff Ruby Steaks: Blended Citizen recorded the first triple-digit Equibase speed fig since Animal Kingdom. However, I was most impressed by Arawak, who made a big move on the turn. Rebel Stakes: Following in the hoofprints of Malagacy, also trained by Todd Pletcher, Magnum Moon stayed undefeated with an easy 3 ½-length win in the $1 million Rebel Stakes at Oaklawn Park, earning a 109 Equibase speed rating (Malagacy earned a 103 fig) and a -5 LSR. Like Malagacy, whose dreams of roses ended with a fifth-place finish as the 2-1 second-choice in the Arkansas Derby. Magnum Moon did not start as a two-year-old and will be bucking the Curse of Apollo should he make the Kentucky Derby starting gate on the first Saturday in May. It pains me to write this and I suspect I’ll get some grief over it, but I think Peter Miller’s punishment for making derogatory remarks to Stephanie Murray is out of whack. And, no, I’m not sticking up for Miller or, in any way, condoning his comments. 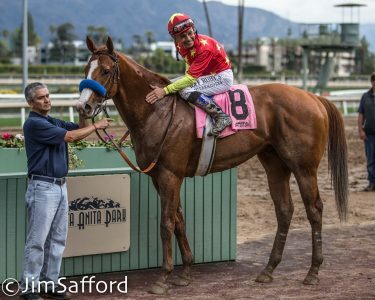 If you haven’t heard, Miller, a trainer based in Southern California, was suspended seven days (April 2 to April 8), fined $2,500 and “placed on probation for the term of his license (10/31/2019) for violation of California Horse Racing Board rule #1874.” It was his seventh offense. No licensee, shall be under the influence of any alcoholic beverage, and/or any illegal substance while performing their respective duties while within the inclosure [sic] of any racing association or fair, simulcast wagering facility, auxiliary stabling facility or Board-approved training facility. Nor shall any licensee conduct themselves in a disorderly or boisterous manner at any time while within the inclosure [sic] of any racing association or fair, simulcast wagering facility, auxiliary stabling facility or Board-approved training facility including but not limited to: 1. Fighting; 2. Threatening, abusive or aggressive behavior toward another person; 3. Any behavior that impedes others from performing their duties; and/or 4. Any other behavior that is detrimental to the public and racing. According to Murray, Miller accused her of “stealing” his staff at San Luis Rey Training Center on Sept. 11, 2017. 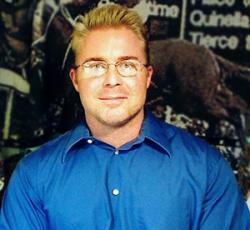 Peter Miller (photo via YouTube). “Miller then continued to belittle and harass me on a deeply personal level, regarding my appearance, my skill as a horseman, my child that is expected to be born (Dec. 1), and my husband,” Murray wrote in a letter to the Board. OK, so why am I saying that Miller’s punishment was too harsh? Two reasons, really. 1) Words are not actions. As vile as Miller’s comments may have been — seriously, who insults an unborn baby? — ultimately, they are only words. 2) It is not the job of the stewards — or at least it wasn’t originally — to enforce a code of conduct on backstretch personnel. Initially, stewards were state-appointed officials tasked with protecting the interests of the betting public. Yet, that has been turned so completely on its ear that, in many states, one isn’t even eligible to be a steward without previous experience as a horse owner, jockey or trainer. Hence, I was hardly surprised when I learned that the rule Miller broke (1874) was instituted in 1996. Meanwhile, in other parts of the world, stewards continue to do what stewards in the United States used to do — protect the betting public. A week later, on Sept. 25, 2016, US Hall of Fame rider Kent Desormeaux was cited by the Los Alamitos stewards for being “up in the saddle” aboard Peppermint Kitty, who was nosed out for third-place in the day’s second race. Peppermint Kitty was trained by — you’ll never guess — Miller, and a large show bet had been made on the filly, resulting in a negative pool. According to the Paulick Report, Desormeaux pleaded guilty, waived his right to a hearing and paid a $500 fine for violating CHRB rule 1692. Look, I’m not saying that Miller — or Desormeaux, for that matter — defrauded the betting public here. I literally have no clue. But a case like the one outlined above, juxtaposed with the ruling in Hong Kong, is far more alarming to me, as a bettor, than Miller’s potty mouth. And does anybody think it’s just a coincidence that racing in Hong Kong is far more popular than racing in the United States? I feel for Ms. Murray, I really do. Nobody deserves to be verbally abused like she was, but I think that is an issue for track officials to handle, not racing stewards, who have more important issues to deal with. 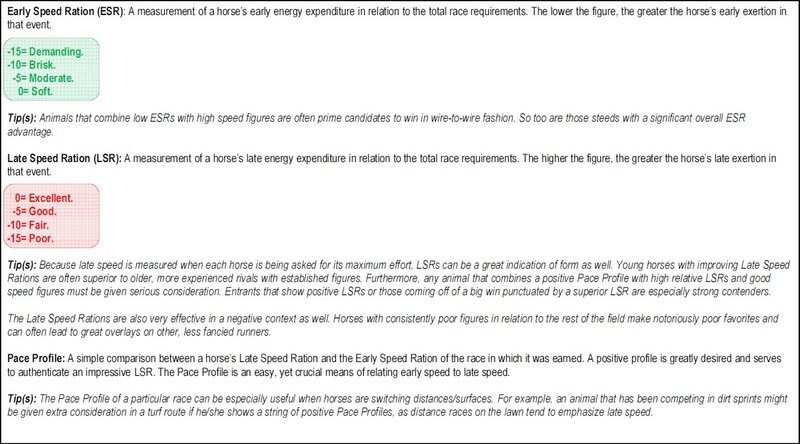 Also, while he’s clearly fast, it’s not like his speed figures tower over the competition like Big Brown’s did when he won the roses in 2008. In fact, Justify’s 104 Brisnet speed figure in his last race is inferior to the top figure recorded by three other Kentucky Derby contenders, mainly Audible (105 in the Holy Bull), Bolt D’Oro (105 in the FrontRunner Stakes as a juvenile) and Good Magic (105 in the Breeders’ Cup Juvenile, also as a 2-year-old). 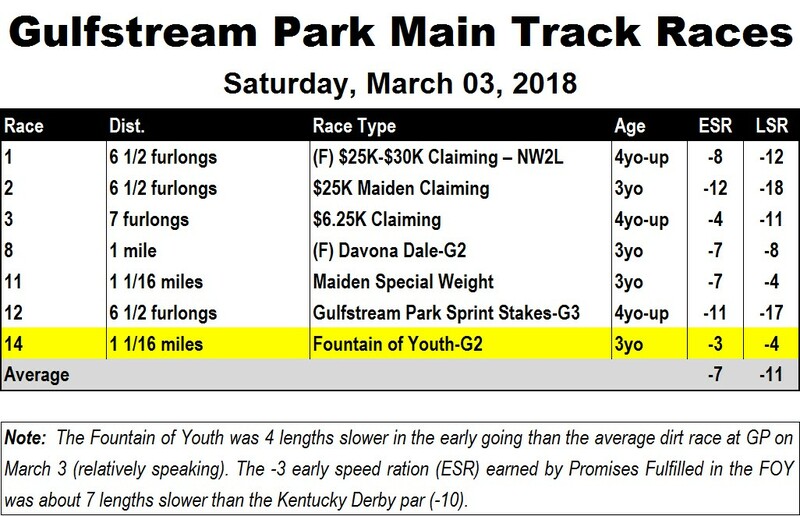 The difference is all of those horses have earned Kentucky Derby points and, if the race were run tomorrow, only Audible, who is tied with Greyvitos at no. 20, would be questionable to make the starting gate on the first Saturday in May. This is not to say that Justify can’t also learn how to better apportion his speed — the problem is he doesn’t have a lot of time. The Kentucky Derby is just 50 days away!